Banner, being a global leader in process and industrial automation, has helped many customers increase efficiency, reduce costs, ensure quality, monitor and control their processes. Another ever-growing concern is safeguarding employees, one that Banner handles on a regular basis. 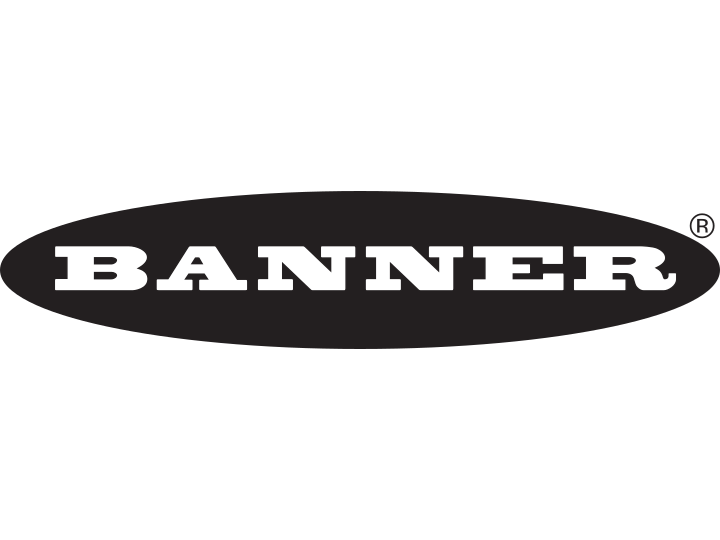 Powermatic Associates is the authorized distributor for Banner Engineering throughout Northern California, Central Valley California, Austin, San Antonio, and throughout central and south Texas. The Banner® SureCross® Wireless System is an wireless industrial control network that can operate in extreme environments and eliminate the need for costly wiring. The most basic SureCross sensor network includes a Gateway system controller and one or more Nodes that monitor and/or control I/O in remote locations. Nodes are deployed throughout a facility for gathering sensor data. This sensor data is then transmitted back to the Gateway. Installation is fast and easy with flexible mounting and power options. Some Nodes must be powered by 10 to 30V dc, whereas FlexPower® Nodes may be powered by solar panels or battery packs, often with a multi-year battery life while also providing power for external sensors. Since these radios utilize the 900mhz Spread Spectrum frequency hopping technology, the 1 watt performance radios can have transmission ranges up to 6 miles line of site without a license. 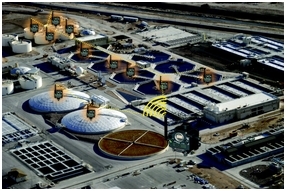 Powermatic Associates has significant experience selling the Banner Surecross Wireless systems to Water Wastewater treatment facilities in the central Texas area and also to system integrators that provide SCADA systems to this market. We have also done work in the aggregates and rock crushing industry and think these units would work well in both cotton production and vineyards for soil moisture monitoring and irrigation. Combined with Banner Temperature and Humidity sensors they are outstanding for greenhouses and warehouses where the environment is critical. We have demonstration equipment that we can use to help you understand the systems and to do site surveys at your location. If you would like to know more about how these solutions can work for you, please give us a call. Banner Engineering introduces the new printed circuit board radio! The PB radio offers the same power and capabilities as the rest of the Surecross family but is perfect for that remote site where higher I/O requirements are not required. With 2 discrete inputs, 2 discreet outputs, 2 analog inputs and 2 analog outputs these radios offer the most economical solution in the industry. They also have as standard a RS485 port so they are easily incorporated into your automation system. Starting at just $255 they make trenching and running wire obsolete. 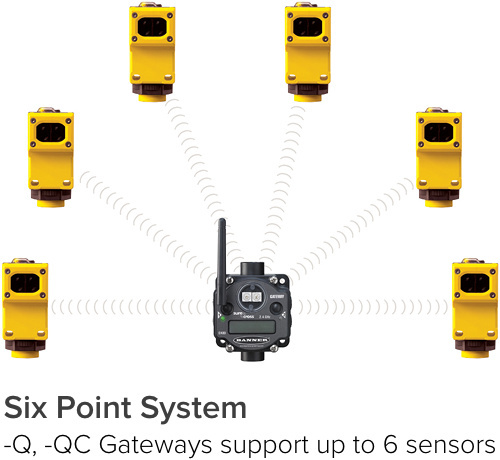 Banner Engineering introduces the new Q45 wireless sensor network! Expanding on the proven technology of the Surecross wireless radios, they have incorporated a radio and batteries into their flagship Q45 photo-electric sensor. This allows up to 6 sensors to be deployed (with a gauranteed 250 msec update time) within a facility without having to run cables. By incorporating the built in Modbus RTU protocol in the Gateway up to 40 sensors can be deployed but throughput can be degredated. Built on the 2.4 ghz technology to save energy these sensors can also be used with the 2.4 ghz Gateway Pro which allows them to be incoporated into Modbus TCP/IP ethernet networks or Ethernet IP networks. Banner's extensive line of vision sensors helps you find defects earlier in the manufacturing process. 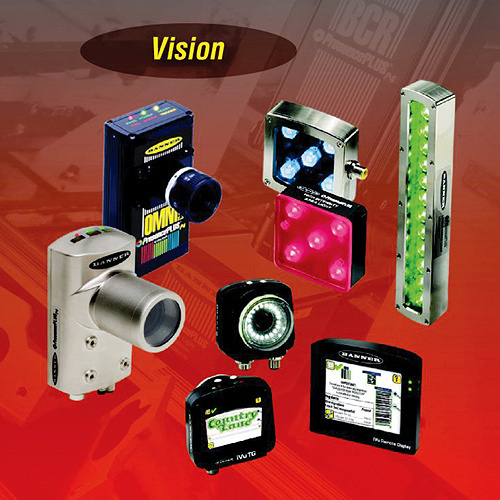 Banner offers standard and high-resolution grayscale, color and single and multi-purpose vision sensors. Add inspection capabilities where you need them.